The zero carbon building approach has been adopted in many countries as a government strategy for addressing climate change. Technology and innovation are crucial to the delivery of zero carbon buildings, and addressing the challenges requires the socio-technical systems approach to be embedded in all stages of buildings’ life cycle including planning, design, procurement, construction and facility management. This event is organised under the Hong Kong Zero Carbon Partnership funded by the Construction Industry Council (CIC). The Partnership aims to help position Hong Kong as a world-class knowledge-based, innovation-driven and multi-stakeholder-engaged hub for zero carbon building in urban environments. The Partnership has attracted support from a wide range of stakeholder groups covering the demand, supply, regulation and institution aspects of buildings. The event will feature renowned international and local speakers to share the state-of-the-art technology and innovation for low or zero carbon buildings, and enable a continuous dialogue on our journey towards zero carbon and sustainability. Information on the seminar series of the Partnership is available at http://www.hkzcp.org/ and http://www.civil.hku.hk/cicid/3_events.htm. For enquiry on this event, please contact Ms. Ruby Kwok (ppps@hku.hk, +852 2219 4986) or Ms Mi Pan (panmi@hku.hk) of Department of Civil Engineering, The University of Hong Kong. 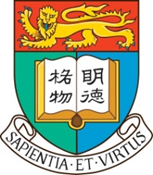 Should you be interested to join the Hong Kong Zero Carbon Partnership, please visit http://www.hkzcp.org/about-us/join-us/, or contact Dr. Wei Pan of Department of Civil Engineering, The University of Hong Kong at wpan@hku.hk, +852 2859 2671.